Dependable inspection tracking software is a must-have for any company that requires security and inspections for the safety of their facilities and personnel. It is crucial for management to know precisely when those inspections are being completed, and to be aware of any discrepancies. Using barcodes, a guard can scan each inspection point and respond to the simple instructions provided on the screen. 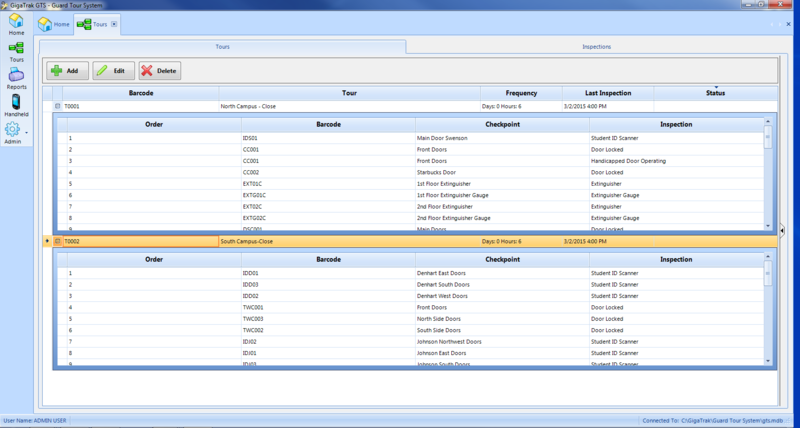 Guard Tour System, our easy-to-use inspection tracking software, is the simple, effective, and quick-to-implement solution. Who Uses Guard Tour System? GigaTrak’s Guard Tour System gives you the power to track inspections by facilities and locations, generate different “tours” with assigned inspection checkpoints, use a mobile handheld to record results and notes, and download inspection rounds and results to print and e-mail reports. You can set tour frequency by months, days, or hours and can create automatic alerts for upcoming tours. 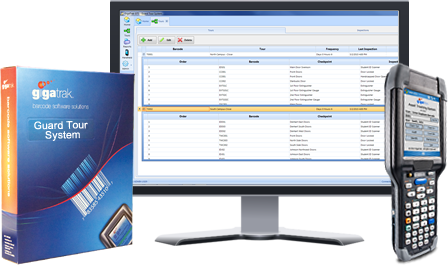 In addition, Guard Tour System includes a barcode label designer for the creation of employee and location/checkpoint labels. 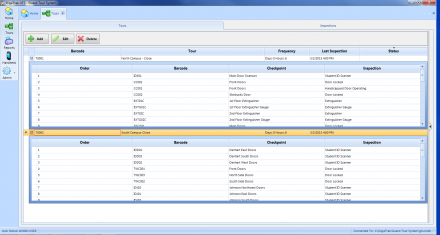 Inspection tracking software doesn’t get any easier than Guard Tour System. Focused on security and safety with permanent records management, it’s an ideal system for most organizations. With a low cost of ownership, the return-on-investment is just a matter of weeks away. Ability to save reports as an xls or xlsx (Excel), rtf, tiff, jpg, png, gif, bmp and others. Who Uses Gigatrak Guard Tour System? GTS is used by school districts, universities, k-12 and other educational institutions to record security and inspection data. We can track inspections on various school facilities. Businesses of all types rely on GTS to meet their inspection tracking needs. Our customers provide services in technical, financial, medical, entertainment, and other industry segments. Local, State, and Federal government agencies look to GigaTrak for their Guard Tour needs. Police, Fire, Military, Embassies, Space & Aeronautic, Municipalities and governing groups are some examples of existing GTS users. Electrical, HVAC, Construction, and Industrial companies use GigaTrak Guard Tour to manage the large volume of equipment critical to their day-to-day operations.